Every month a woman’s body goes through hormonal changes. Hormones are naturally released which cause the lining of the womb to increase in preparation for a fertilized egg. 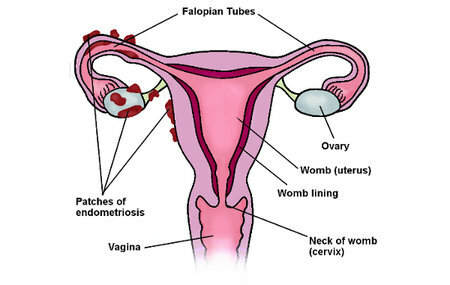 If pregnancy does not occur, this lining will break down and bleed – this is then released from the body as a period. In endometriosis, cells like the ones in the lining of the womb grow elsewhere in the body. These cells react to the menstrual cycle each month and also bleed. However, there is no way for this blood to leave the body. This can cause inflammation, pain and the formation of scar tissue.